For a copy of our full Terms & Conditions of Service, please contact our office. London Cleaner agrees to perform the work specified by the Client in a professional manner. We reserve the right to make changes to any part of these Terms and Conditions without notice. By hiring our services via telephone, e-mail, fax or website, the client is agreeing to be bound by the London Cleaner Terms and Conditions of Service. The Client must allow the cleaner access to hot water and power. All fragile and breakable items must be secured or removed. Our company offers a regular cleaning service at the rate of £14.00 per hour, on condition that the client engages the cleaner for sessions for a minimum of two and a half hours at least once a week, for a period of not less than six months. For the clients who don’t wish to sign a contract in advance. The first commercial cleaning session is charged at £16.00 rate with £4.00 credit to the client in respect of further cleaning. When the client signs the contract, the cleaning session will be charged at £14.00 rate on weekly basis for a minimum of 2 hours or £14.00 per hour on fortnightly basis (for a minimum of 3 hours). In the event that the client is not satisfied with the standard of work, he/she should contact the company not more that 24 hours after the completion of the service. Unless good reason is given for late notification of any complaint, the company will not consider any complaints which are notified after such period of 24 hours. In the event of complaint the client will allow the company to send a cleaner back to the client’s property to complete the work to the client’s satisfaction and the company will not normally refund any payment if it is not permitted to return to the client’s property to complete the job. When booking a cleaning service, the Client is obliged to provide details of name, address, telephone, e-mail address and the payment details over the phone. As soon as this information has been submitted the Client will be sent an e-mail confirmation one working day before the cleaning session in respect of the Company’s Terms and Conditions. 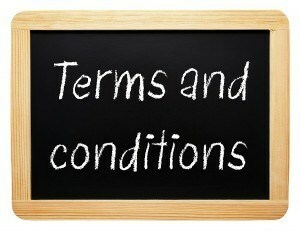 The Client accepts these Terms and Conditions unless s/he contacts the Company before the cleaning session has started. London Cleaner is insured by full public and employer’s liability cover. The cleaners have full public liabilityinsurance. In case of a complaint, we require to be notified within 24 hours after completion of the cleaning work. No claims will be entertained after the above time limit. If the Client is dissatisfied with the work, ma cleaner must be allowed to return and re-do the job at no extra charge. We will provide all cleaning material and equipment on request. Please note that this may be subject to a surcharge. We will not be responsible for failing to remove old/permanent stains that cannot be removed using normal carpet cleaning methods. Existing damage will be reported prior to commencing work. The standard End of Tenancy Cleaning Service does not include cleaning of walls, ceilings, curtains, balconies, patios, exterior windows,carpets, upholstery, washing up or laundry. A surcharge willapply should these extra services be required. The property must be vacated. The Client may cancel/re-schedule a service by giving at least 24 hours notice. IfLondon Cleaner is not notified on time, no refund will be offered on any deposit paid in advance.We reservethe right to charge a cancellation fee of up to 50% of the quoted price for the booked service. The cancellation notice period for contracted regular cleaning is 1 month. A minimum deposit of 50% of the quoted price may be payable at the time of booking. In the event of such deposit having been paid, the remaining balance should be paid upon completion of the specified work.